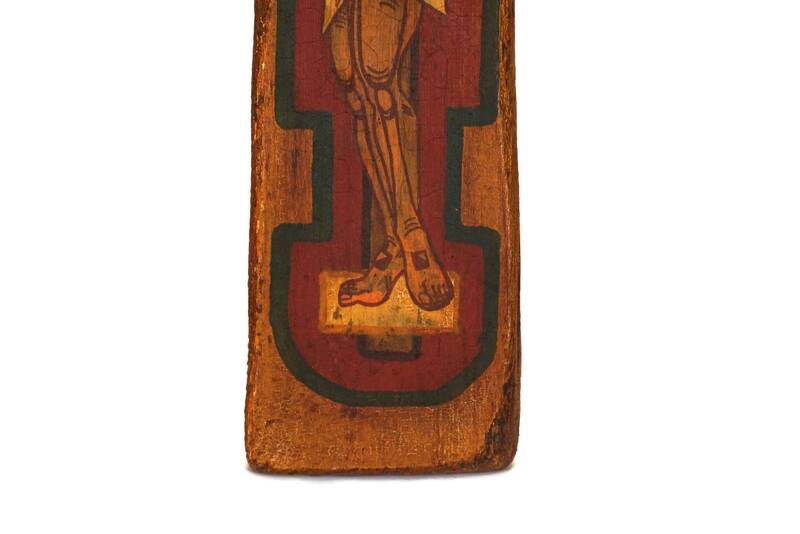 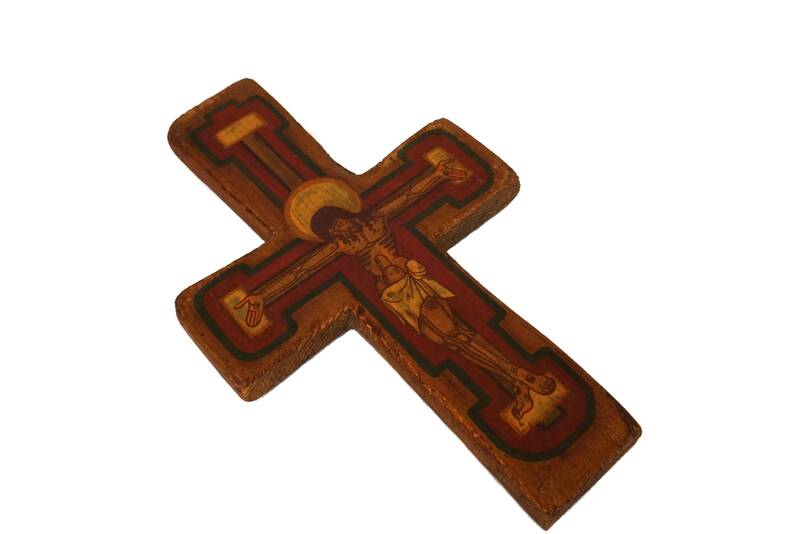 A beautiful vintage Orthodox Icon wooden crucifix dating from the 1960s. 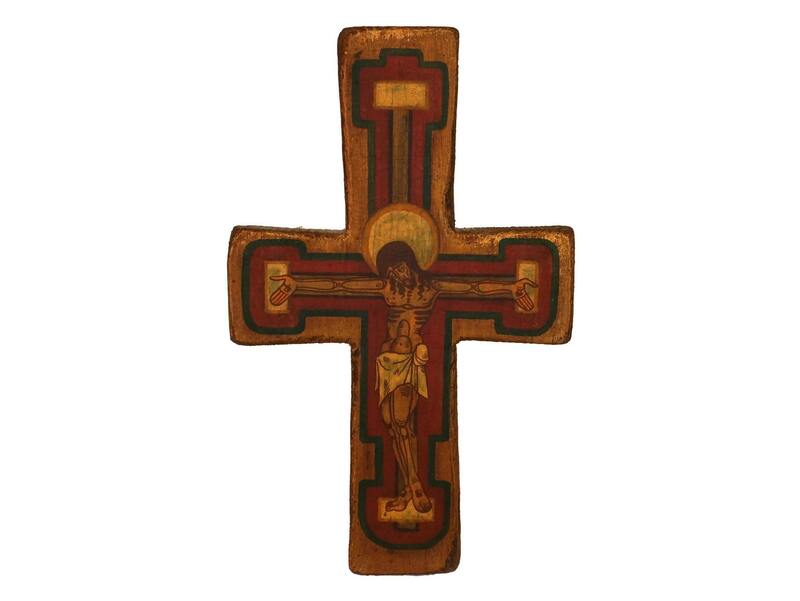 The religious art wall hanging cross has been hand painted in shed of gold, red and black and portrays a traditional orthodox Jesus Christ figure. 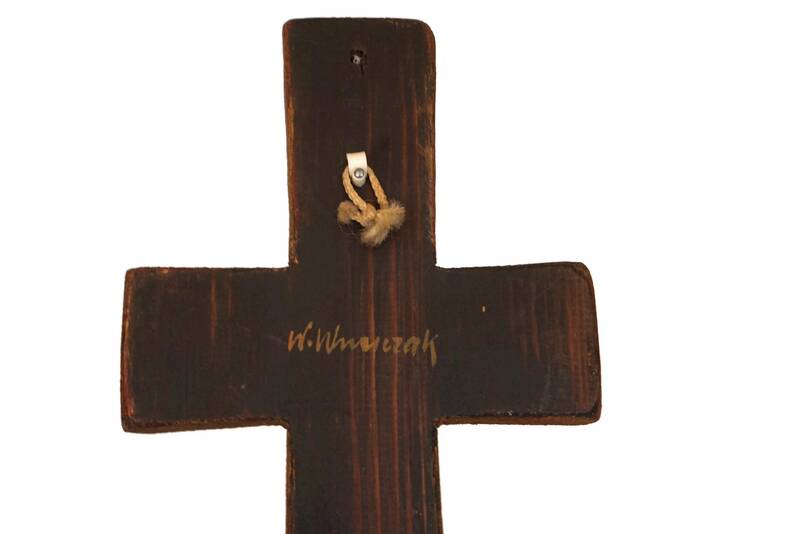 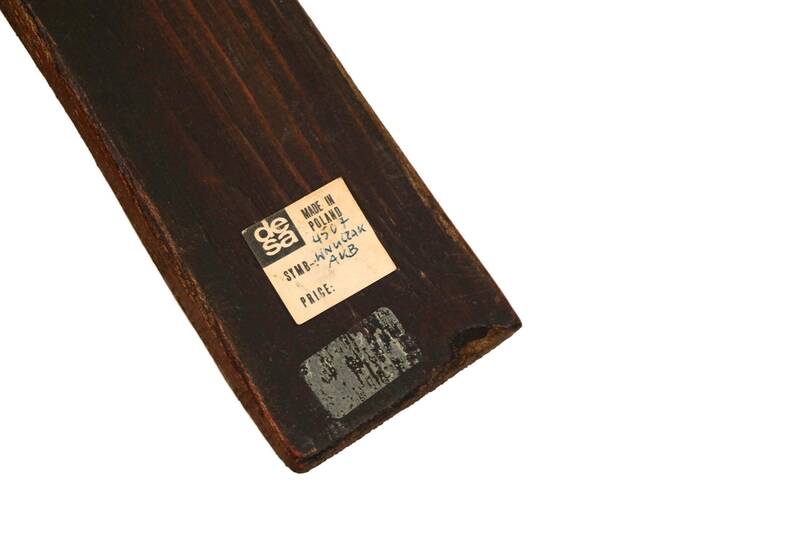 The large wooden cross has been hand signed by the artist, W (for Waldemar) Wnuczak, on the reverse side and still has its original Gallery sticker (DESA, made in Poland). 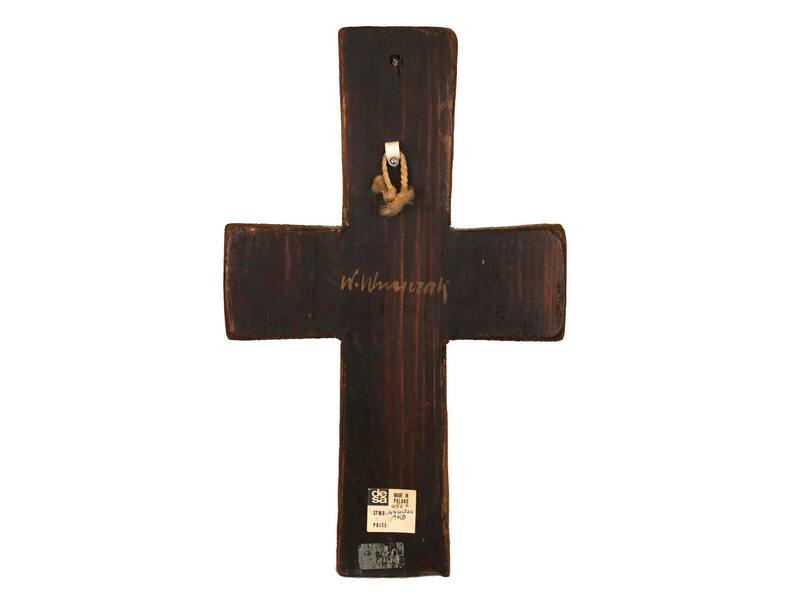 There is a hanging loop at the back to hang the cross on a wall. 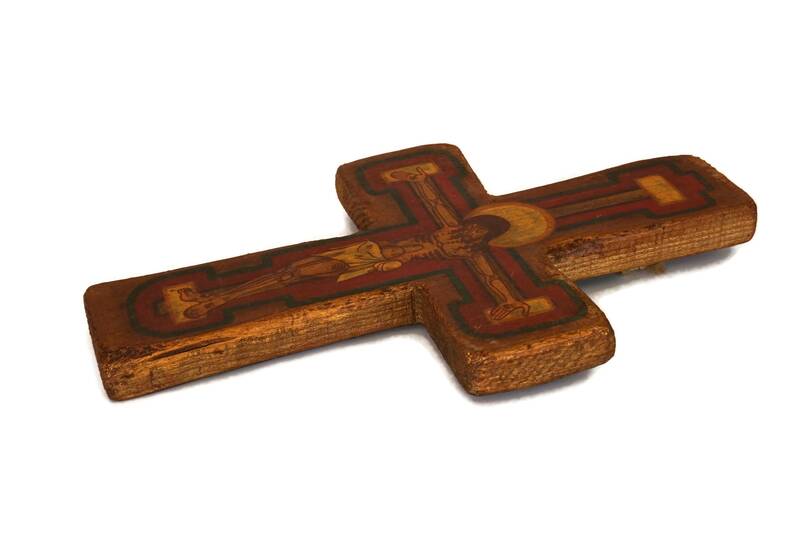 (28 cm x 17, 5 cm x 2 cm). 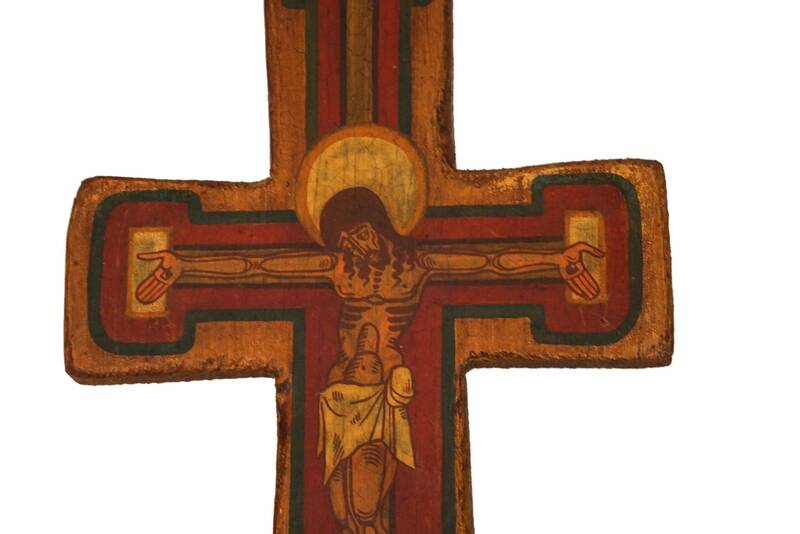 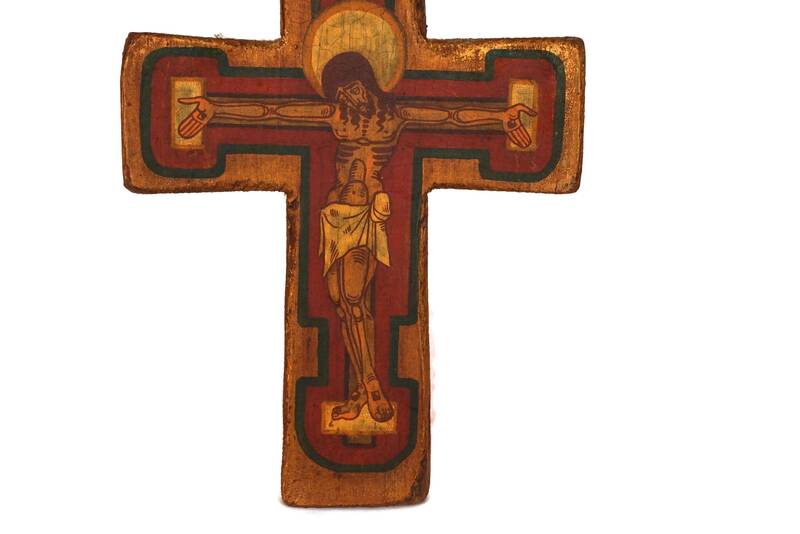 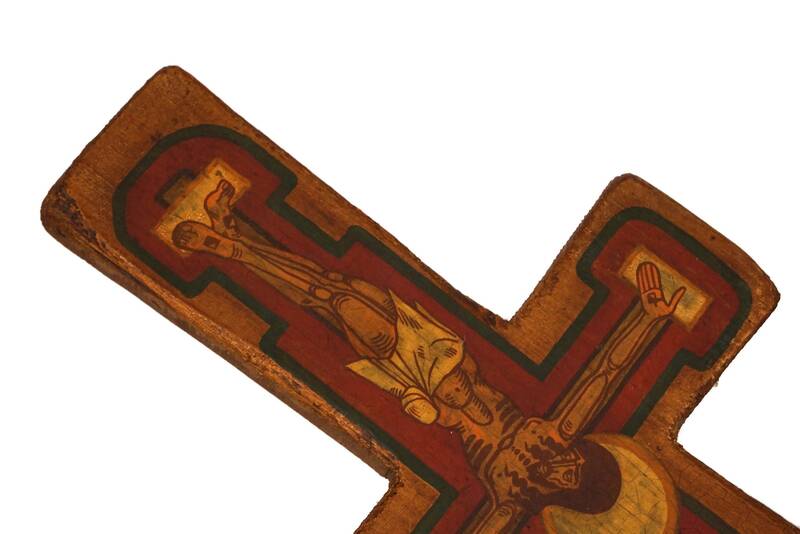 The Icon wooden crucifix is in very good condition with light signs of age and wear including surface marks and scratches.